Welcome to the Stamper’s Dream and Friends Blog Hop, I’m so thrilled to be here hopping with the uber talented Dream Team and Dream Team friends! Thank you so much for inviting me to play Michelle . . . mwah!! 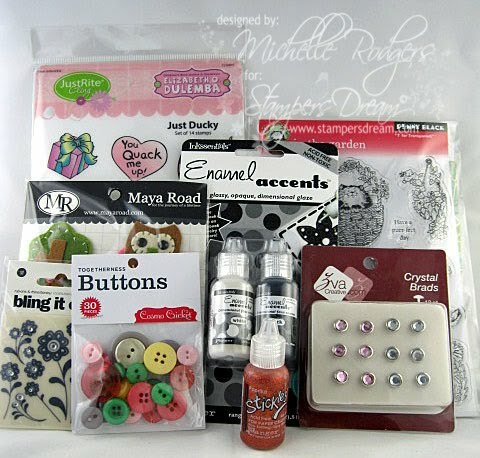 Stamper’s Dream is offering some fabulous blog candy. The candy is hidden on two separate designers’ blogs, there will be two separate winners. No one knows which two blogs are hiding the candy, including us designers. To improve your chances of winning, leave a comment on all of the participating designers’ blogs, links are provided at the bottom of this post. The winners will be announced Thursday evening, April 14, on Michelle’s blog and on the hidden designers’ blogs. If you need help finding Michelle’s blog, simply come back here and click on this link Thursday evening to see if you’ve won the candy: Michelle’s blog. Blog candy photos are at the end of this post. I’ve designed a wall hanging for a baby’s nursery in beautiful shades of teal, salmon and rose. The image was stamped with the recently released Lenton Rose stamp set by Flourishes available at Stamper’s Dream. The image was water colored with Tombow markers (marker numbers are listed at the bottom of this post under “Supplies“). When my boys were born, I had a rocking chair in their room so that I could rock them to sleep. As they grew older, I held them in my lap and read to them from the rocking chair. This little mouse brings back memories of me reading to them. A hallmark of most of my wall hangings is a bow that I’ve usually had fun playing with. I stamped extra leaves for the teal roses I made using Rose Creations dies. All stamped images in the design were stamped with Versamark and embossed with Super Fine Detail Gold embossing powder by Ranger. 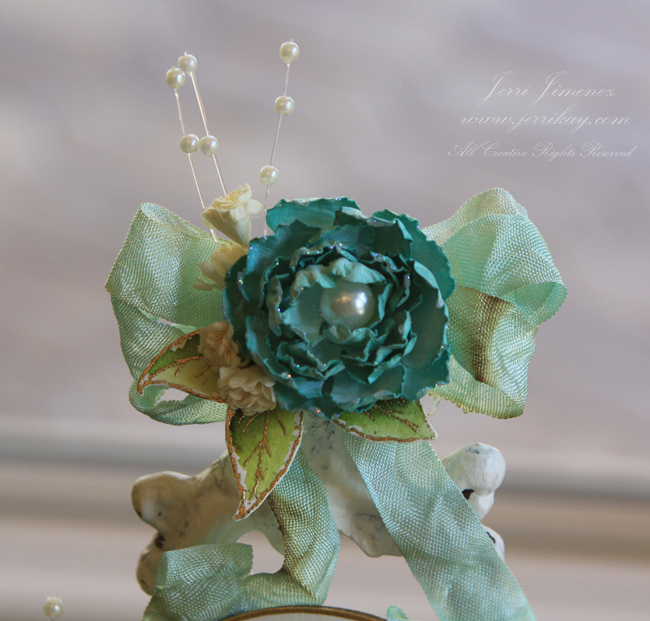 Mini Gypso Prima flowers were added to the teal roses, as well as sprigs of pearls. Water colored leaves from the Lenton Rose stamp set are tucked under the rose. Spellbinders™ : Grand Calibur, Rose Creations, Lattice Rectangles, Grand Labels 11 (Can be purchased at Stamper’s Dream as well). Thanks so much for stopping by, good luck with the blog candy ladies! So adorable. How very sweet. This wall hanging is too sweet!!! The detail and coloring is amazing!!! The recipient of this would definitely treasure it. Thanks so much for sharing your talent. What an awesome project. The colors are gorgeous. Thank you for including the numbers of the Tombow markers you used. put in this is so wonderful and words can not describe it’s beauty! Very pretty, love your coloring. Thanks for sharing and for including the supplies used. Oh WOW! 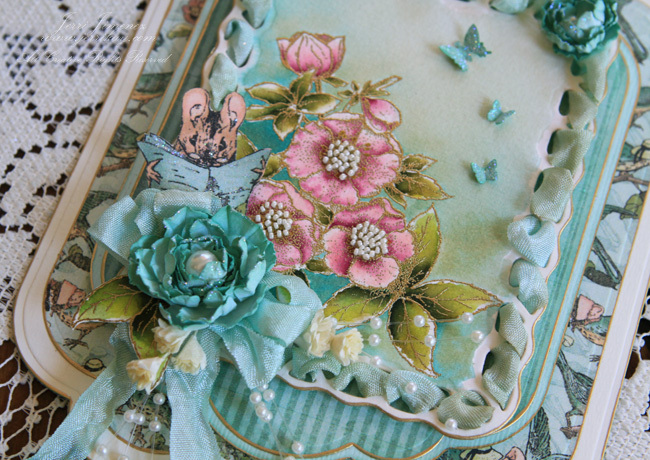 Shades of teal….my favourite colour and it looks beautiful with the salmon and rose. Oh Jerri what can I say your creation is stunning and I love the way you have threaded the ribbon through the Lattice Rectangle. Beautiful once again! Love that shade of blue. I just can’t keep up with all of your pretties, everyone is amazing! Wow this is just beautiful!!!! So much detail and the colors are just gorgeous!! 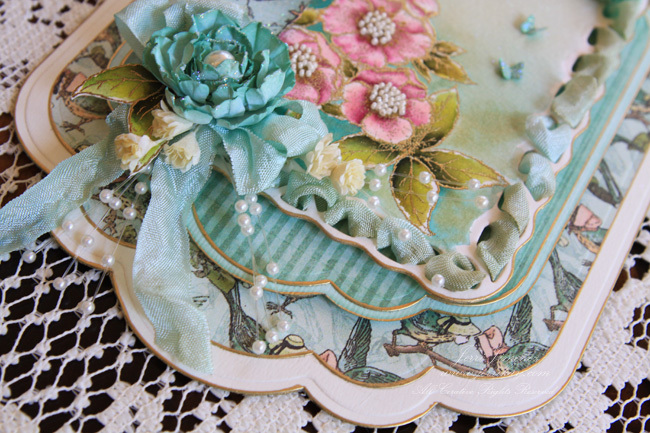 I like all the lovely texture you have created with the ribbon, pearls and flowers. The details and layers of your card are beautiful. You put so much thought into every tiny detail. This card is stunning. Oh Jerri, How beautiful! There are no words to express how pretty this wall art is! I love the hidden mouse and colors are wonderful! Also, I looked at many of your older posts as I am new! I love all of them! One word comes to mind to describe this creation – magnificent!! Every detail is just incredible!! amazing…it’s over the top gorgeous! As always Jerri, your creations are amazing. Thanks for sharing. Your wall hanging is absolutely gorgeous, actually the word that comes to mind is breathtaking. I love the colors you have chosen, they are baby sweet but vibrant at the same time. My daughter is expecting her first baby in Nov., I see a copy of this one in the making. Thanks so much for sharing, I love your work. Beautiful card. Love how you laced the ribbon! Oh Jerri!!!!!!!!!! This is such a beautiful creation. Just love the coloring, flowers, glitter, etc. etc. etc. Fab job. Keep these coming for us non-creators. Thanks. outstanding again, so sweet and lovely. i would love to hang this in my craft room, my kids are at that age where they wouldn’t appreciate it but i miss those hugging/snuggling days. I LOVE the wall hanging. Your choice of colors and techniques inspires me. Love the Easter cards, too. The basket of eggs inside is the perfect finishing touch and a wonderful surprise. These colors are gorgeous!! Thanks for sharing all your work! There is always some yummy art on your site! I just LOVE coming to see it! Stunning! Beautiful colors and love the ribbon threaded through the die cut. Jerri, your cards and everything you do is always so beautiful and inspiring. You always put so much work into everything you do and I just love your tutorials. Thanks again for the inspiration. This is so precious, and very beautiful! Your coloring is awesome. I honestly love everything about this wall hanging!! Adorable!!! Whom ever gets this is getting a treasured piece of art work! Your work is outstanding, I love your colors, they are so refreshing. I just love whatever you make, you are so talented, thank you for sharing and giving such inspiration and great ideas!! Enjoy your day. So beautiful – love those colors together and so sweet – just right for a nursery! You are hazardous to my health girl! Everytime I visit your blog I can’t breathe!! LOL!! Love this! The colors are perfect and it is just beautiful. Thanks for sharing. Great color combination. Love those flowers. This is just outstanding. Love the colors, another Wow that we all have come to expect from you. My lands, Jerri! This baby wall hanging is stunning! How do you keep topping yourself? Oh Jerri, what can I say. I have run out of words for your gorgeous creations. This is amazing! totally awesome wall hanging. I have a pad of that wonderful paper am thinking about a wall hanging using a canvas. Just got to get to work on it. This is absolutely stunning! The colors are beautiful and I love the way the ribbon is woven in. Another beautiful project! You have such beautiful paper flowers. Can’t wait until I can try them out. Your wall hanging is so pretty. It would also make a great Mother’s day giftl. Wow, what a gorgeous creation. Love all the details. Very creative. This will look beautiful in any room. Thanks for sharing your creativity. I also enjoyed the story about rocking your babies when they were small and also reading to them. Your baby wall hanging is so pretty. It would also make a great Mother’s day gift. Jerri — What a Stunning Piece of Art!!! Yes Art – your projects are always so detailed and exquisite!! Every ounce of love you put into your work shows!! Thanks for inspiring us!! And of course be such an enabler -I now need some Grand Nestabilities too!! OMG, as always, this is just beautiful. 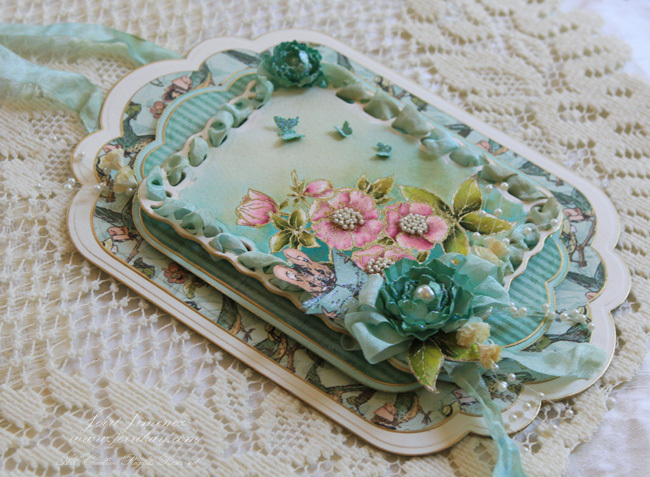 Beautiful card, I love the spellbinder grand dies. They make such nice card shapes. This a beautiful wall hanging. It would look nice in a childs room as well as a baby. Simply gorgeous as usual. I’m a huge fan! This would look so lovely in a babies room! Glorious……..I want to sing when I see your creations . Beautiful, Beautiful, Wall hanging and or card. 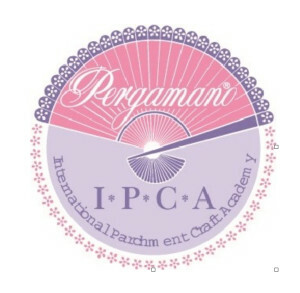 Thank you for sharing your talent and the fabulous tutorials. Another wonderful creation Jerri. 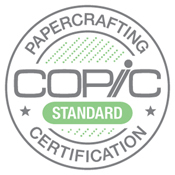 You created a work of art with just paper, embossing power andwater colors. Beautiful. Love, love, love this project. 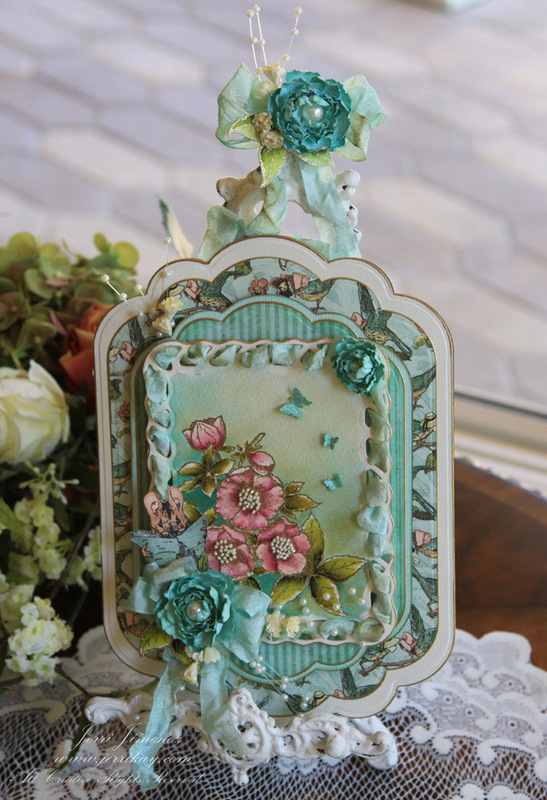 The color combination is gorgeous and all the 3d textural additions are just beautiful! Love, love, love those colors together. What a gorgeous project you created for a lucky baby! Absolutely gorgeous, Jerri!!!!! The colors you used are sooo pretty and what beautiful flowers!!!! The tiny little beads in the flower centers and the gold along the edges are such elegant details and the laced ribbon looks FABULOUS!!!!! The details in your project are absolutely breath-taking! Love the colors you used, too. Oh, wow, what a gorgeous card. I love the ribbon through the holes. Can’t wait to try it. Oh my goodness– what a gorgeous creation! Too pretty for a babies room; it would be in MY room ! Love the colors and it is so elegant. Oh my goodness, how gorgeous is that?!! Amazing little details, I love it! What a beautiful creation!! Love your coloring, the ribbon frame – every part of it! Just beautiful! The details are amazing! Oh my is that just the sweetest thing ever, love the gold edging, lovely coloring of the flowers and their pretty centers, beautiful weaving of the ribbon through the die, Gorgeous piece! This is so beautiful and delicate. It looks like a lot of time went in to create such beauty. What a beautuful card! Great detail. What an amazing project. I love how you wrapped the ribbon through the Spellbinders frame!! Takes my breath away Jerri! So beautiful. Beautiful. I love the use of texture and dimension. A lot of thought and talent went into this. This wall hanging is absolutely gorgeous! I would love it hanging in my room!! Thanks so much for sharing and for the chance to win! Jerri – I adore your nursery wall hanging. It’s so beautiful with all the gold embossing and your woven seam binding adds such sweetness. That precious little mousie just stole my heart! What a joy to blog hop with you on behalf of Stamper’s Dream. 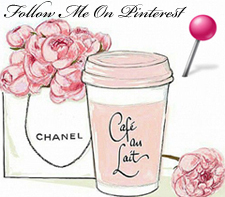 I love your wall hanging – so very pretty! What an absolutely beautiful wall hanging! Your creations always amaze me. Jerri, the wall hanging is simply superb. Thnx for sharing your forever great talent. Breathtaking Beautiful! You do such wonderful work! Jeri, another beautiful project. I appreciate your idea of weaving ribbon through the die cut. I had never thought to do that. thank you. Oh my gosh!!!! This is so pretty……..love those colors…..ok I need everything you have here….because I got to make one of these……thank you so much for sharing ……. This is beautiful. The colors and flowers go so well together. This is so pretty, I love the little bunny hiding in ribbon. A M A Z I N G!!! So very beautiful. Love the colors you used and of course the flowers are perfect. Hugs, Teresa E.
Layers and layers of texture and color, simply beautiful as usual. Thanks for sharing Jerri! My Gosh-soooooooooooooo beautiful! Just stunning! The layering, the coloring, the flower, the butterflies, all the little details make this one magnificant art piece-love it! Wow! This is stunningly beautiful, I couldn’t hit the subscribe button fast enough lol. Love your artwork, just lovely. Thanks for the invite. Absolutely gorgeous! Love looking at your artwork. It is always great. This is beautiful! Who wouldn’t like to get such a lovely wall hanging for their nursery. There are so many elements you have to really look at it to see all the details. What a wonderful and beautiful baby gift. Your friend will be thrilled! Hello, I’m hopping over from Butterflykisses and wanted to tell you that the colors in this piece are mouthwatering. So springy and beautiful. I love everything about it! Oh my goodness! What a beautiful card!! Thank you for sharing you creation! Anyone would be proud to display that on their door, what a lucky friend. Could there be a more beautiful way to welcome a new baby? I think not. Wow this is absolutely STUNNIG! The detail and coloring is amazing!!! This is something that will be treasured and if it had been given to me when I had little ones, saved for the next generation. Amazing! Just absolutely beautiful!!! Love all the little details! Amazing card with such stunning details. It’s unbelievable; your talent is astounding! What an exquisite project, all the details make it so special. Your creation of the hanger is gorgeous in itself. Wow, absolutely gorgeous. I’m always amazed at the beautiful creations. Wonderful and I so love the ribbon & flowers. You do great work, what a beautiful wall hanging. Great project. Thanks for including the Tombow colours used. Love how you threaded the ribbon. I love your work, Jerri! The flowers are gorgeous! I Love this!!! Really gorgeous!!! What a beautifully detailed wallhanging! The shape, and patterned paper really compliments the image (and, the beautiful coloring). And, I love all the ribbon, and that flower is gorgeous! I don’t see my comment, so I’m re-doing it. Your wallhanging is so beautiful – and, has so much detail. The shape and patterned paper really compliments the image (which is beautifully colored). And, I love all the ribbon, and the flower is absolutely gorgeous! You always add such elegant touches and embellishments to your projects. Each one is a keepsake! LOVE how you threaded the ribbon through the nesite! Gorgeous card! Have mercy, Jerri! That is . . . beyond adjectives! Beautiful? Breathtaking? It certainly is beyond the realm of us mere mortals. What a wonderful work of art. Thank you for the gorgeous attention to detail. It sets your work apart. You are a one-of-a-kind designer! Amazing and stunning work of art! i’m in awe! So glad you’re hopping with SD today!! I love your card!!!! I love what you did with the ribbon. It would be so much fun to win the blog candy. Wow! Looking at all these beautiful cards makes you want to forget the housework and go to your stamp room! Jerri, you are killing me w/your popularity, gf! You so deserve it though and I am one of those admirers of all your work since you started back in the day 🙂 This is so pretty and I did not even notice this little mouse until you said something! How observant was I??? Keep ’em coming, my friend. Another gorgeous creation from Jerri!!!!!!!!!!!!!!!!!! This is absolutely stunning…love it…Thank you for the chance to win. Fingers crossed. Oh my, I’m very impressed. That is a piece to cherish and look at every day. You are sooo creative. Thank you for sharing this treasure. Wow, this is stunning. 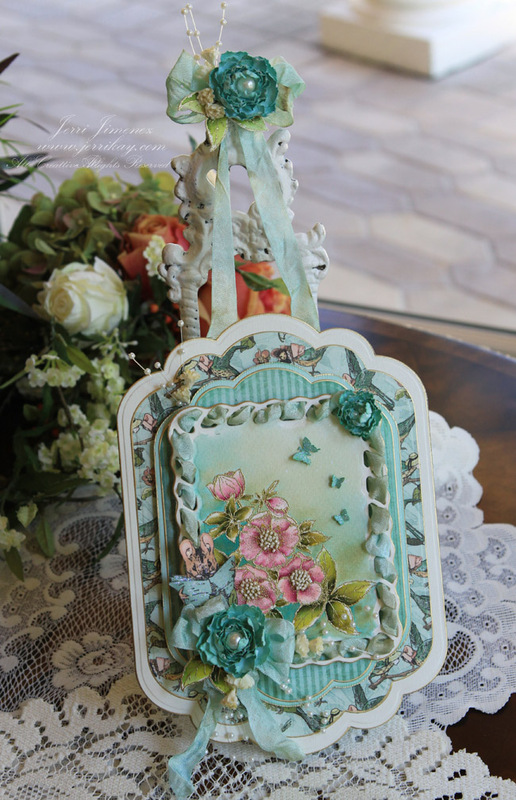 I love these colors and the Flourish Lenten Rose stamp. Thanks for sharing your beautiful creation. This is a Wow in my book. Have a happy day. Oh my goodness, just breathtaking stuff, there really is nothing that I can say that hasn’t been said already, beautiful. OMGosh Jerri this is stunning! Such beautiful work. It was fun hopping with you guys today!! Thanks. So intricate, and absolutely lovely! Everything you do is soooo exquisite! i love to see hanging. i make them too. the colors are wonderful on this, and the hanger itself is wonderful. thank you for sharing. Gorgeous! What more can be said! OMG! This is BEAUTIFUL! I love the ribbon woven in the die cut. These papers are my favorite and with the stamp, it is beautiful. Thank you for sharing your talent! I love the little wall hanging and your coloring is out of this world. I wish I lived handy to you so I could have some lessons. Beautiful! So many details and very delicate! This is stunningly beautiful. The level of detail is wonderful. So glad I hopped to your blog. Thanks. Beautiful! I love the colors and the pearl accents in the centers of the flowers. So pretty with the ribbon woven through the openings in your mat. I’m in awe Jerri, what a beautiful card. Here’s hoping to win. Hugs, Nellie. You always do such beautiful work! So Cute. This one the most beautiful pieces I have seen from you!!! Along w/ many others! The color palette is beyond beautiful!!! This would grace any nursery be it for a boy or girl. It would be something I would stick away after the nursery is no longer a nursery & save it for my child’s child. Beautiful. Beautiful card, but everything you do is always so beautiful, so talented. As usual a delight to see. I just love the colours you have used. I covet it for myself not a nursery! Keep showing us all your lovely ideas. Jerri, your attention to detail is amazing. What a beautiful creation. Thank you for sharing. Wow I have to say this is just beautiful love the color scheme!!! so elegant and stunning, your work always amazes me! The blog candy is great but my favorite part of blog hops is seeing all of this fantastic talent displayed!!! Your wall hanging is precious! All of the layers, embellishments and colors work so well together. I’m in love with it! As always this is beautiful. Tried to leave comment earlies and don’t see it so am trying again. Wow – that is wonderful. So sweet, love the beautiful colors and love the idea of rocking our babies to sleep! Your works are so inspirational to me. Thanks for sharing! And for the chance to win blog candy. 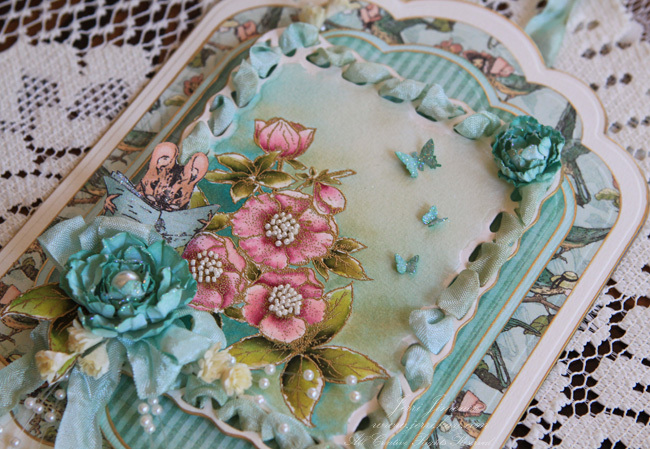 Gorgeous card Jerri – it took a little while to spot the mouse with these old eyes of mine! Oh my, I think my heart just started beating a little faster! This is luscious! That is beyond stunning!! I was scrolling looking to become a follower, but found where I could subscribe instead…cannot wait to see what you create! 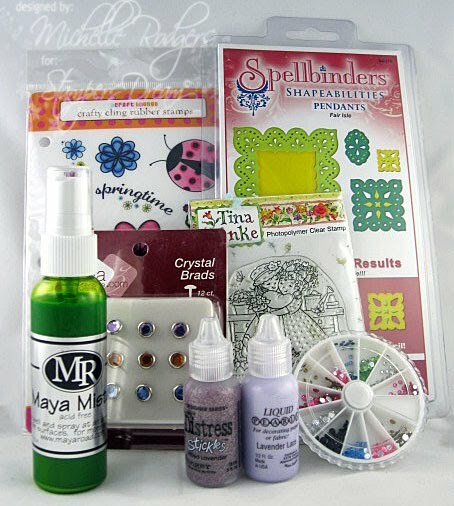 Spellbinders and Split Coast Stampers..two of my favorites. Beautiful project ! Now I want tombow markers. I remember how pretty they are to watercolor with. By the way – Just saw your in the top 50. Love those stamps too. Your wall hanging is just beautiful. Love those colors. Oh my the level of detail is just awesome! How beautiful-I love it! I would hang it anywhere, not just in a nursery. Wow! What a beautiful creation. Love your coloring and the layers! Wow! This is stunning!! love the soft watercolor feel that the markers give! Wow, wow, wow! This absolutely blows me away! You are so amazingly talented! What an beautiful project! Beautiful job, as usual Jerri. Your designs are so artistic and so elegant. Beautiful – absolutely beautiful. I love the ribbon woven around the Spellbinder’s die cut. What a beautiful project! The detail and colors are gorgeous. Thanks for sharing. Beautiful, I like the way you did the ribbon treatment and you used a beautiful color combination. Jerri, your wall hanging is absolutely beautiful. Jerri, Another jaw dropping creation. Just absolutely gorgeous and so striking – just love love love it. You are a true artist and have been so blessed with a wonderful talent! Gorgeous beyond words! Thank you for your inspiration and generosity. Wow! What a gorgeous creation! I love the layers and your attention to detail is amazing! Thanks for the inspiration! This is absolutely gorgeous…so much detail! It’s REAL eye candy. I especially like it because it’s one of my favorite shades of blue AND I love butterflies and flowers. It’s got it all! What a beautiful wall hanging and the colors are so pretty. Thanks for the chance to win. Thud, that’s my chin dropping on the table! Jerri your wall hanging is absolutely stunning! Your attention to detail is just so amazing! I love love everything about it….your roses and leaves are so pretty, I can’t wait to get this die! Thanks so much for your inspiration…. Oh Jerry that wall hanging is beautiful and I’m so tempted to add that stamp to my Flourishes wish list. WOW…Jerri…WOW…just gorgeous! Breath taking really! This is my first time on your blog and I am blown away by your work. I’ll definitely be back again. Thank you. Your wall hanging is so pretty. Love the colour choices and the sweet little bunny image. The twisted woven ribbon is so delicate and adds so much interest. gotta just love anything made with Graphic 45, so pretty, and could work either for a baby boy or girls room. tfs. Jerri, what a gorgeous wall hanging. It’s beyond beautiful. Love the colors and your work is awesome. WOW, I am soooo impressed by your gorgeous creation- absolutely everything about it is stunning. 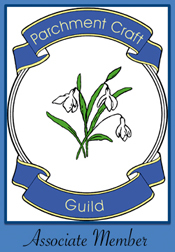 I have never been on your blog before this hop, but have now subscribed to follow you and look forward to seeing more. OMG! What an absolutely beautiful card! Gorgeous work as usual! Love the soft colors! I believe it is the attention to detail that makes the difference in all your cards. It inspires me to look at the fine print! Jerri: This wall hanging is so adorable. I love your choice of colors. As I have said before, I can hardly wait to see your next project. All your work is so awesome. All I can say is STUNNING…WOW! I can’t get over how beautiful your work is. Loved the ribbon woven through the piece. As usual, one of your over the top gorgeous pieces of paper art! Do I detect bling on those tiny butterfies? So cute! Jerri, this wall hanging is just gorgeous. I so love your creations. The flowers, paper, ribbon, pearls, gold leaf, dies, coloring, everything is perfect. Superb as always. Thank you for sharing with us. Now, how did I know you would have something divinely exquisite to share here today? Ohhhhhh, this is so sweet and pretty, Jerri! This would be a cherished treasure as a baby gift. Adorable and utterly precious! Great idea for baby’s room. Wonderful job blending colors, I love it! Your creative talent knows no bounds! I’m in awe of the perfection of your art every time I visit. So very beautiful love the colors used and the flowers and ribbon are so sweet. Love all the details. ooh, this is sooo pretty. i think it has a very victorian look to it. i really like this one. you always outdo yourself. thank you. Your wall hanging is gorgeous. It would be lovely in any room and those happen to be my favorite colors. Wow, wow,wow! This is gorgeous! What a FANTASTIC creation! Love everything about it – the colours, layout, and most especially that lovely little mouse reading. Brilliant work! What a cute door hanger! So pretty and special! Your work is fabulous. I love it! Wow! This is absolutely beautiful!! I love the colors and all the details on the project. Lovely work, enjoy seeing the B. Potter mouse from ‘The Tailor of Gloucester’ used. Adorable! Truly a magnificent work of art! You outdid yourself this time! This is just a lovely tag!!! The colors work so will with that beautiful stamp set…! Thanks for this chance to win. What an awesome project! It is so beautiful and the colors are so sweet for a baby’s room! The lattice rectangle is on my list of must haves!! Wow! The details on this are amazing. Those tiny beads in the center of your flowers, the blue glittered flowers, that ribbon detail. Fabulous!! So many gorgeous details! I just love that little mouse peeking out with his book. This is a piece of art to treasure! Breathtaking, Jerri. Love the ribbon woven through the frame. That is gorgeous as usual. I could see that hanging in any room, not just a nursery. Your projects are incredible. The amount of effort you put into your art is truly amazing! Beautiful Jerri, I love hoe you add the tiniest of details to make it look so all together awesome! Oh my goodness! Simply lovely! So much attention to detail and so beautifully done! Very very pretty wall hanging. I love the colors and flowers. Just had to comment on this incredible wall hanging, Jerri! So much wonderful detail.. always. LOVE IT!! Wow–your attention to detail is amazing, Jerri! Gorgeous creation!! Jerri this is magnificent!! Your attention to detail is second to none – I love every ounce of your wonderful creation!! Absolutely beautiful, a lucky baby will have this hanging in their room! this is so beautiful. i love all of the layers and flowers and color. That is one of the prettiest projects I have seen a long time. What a great hanging. Makes me what to make a baby room for a family member. WOW! I can see how much time you put into this card. Thanks so much for sharing. Absolutely beautiful. What more can I say!! I would like to ask…HOW do you outline with the Krylon so perfectly??? 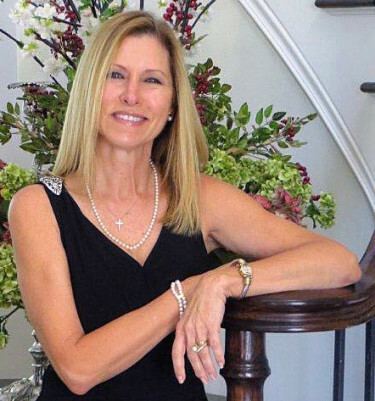 Jeri Kay – Love the detail you put into all of your projects. They are so interesting to look at and so beautiful. Thank you for sharing your talent. Wow lovely wall hanger, it’s looks so delicate. WOW! How gorgeous is that! Thanks for sharing your talent. This is without a doubt one of the most beautiful projects I have ever seen! This blog hop is going to take forever, because of all the time I need drooling over everyone’s posts!!! I can’t get over this card!!!! Absolutely GORGEOUS!!! I love the woven ribbon, sparkly flowers, its all beautiful! OMGoodness, this is amazing!!! Sooo beautiful, it’s absolutely gorgeous!!! This is absolutely one of the most gorgeous pieces I have seen. Love, love, love the colors and softness. Wow! Love your projects they are beautiful! My comments on this one…..elegant and detailed again………..could not stop scrutinizing all the nitty gritties you have done in each project….just too many details to look for!! A truly stunning piece of work!! what a beautiful card. Love the layers and color scheme. Nice coloring of the flower and love what you did with the ribbon in the border. Wow, this is so gorgeous! Now I just need a new baby to go with it! I am always just astounded by your art. You are truly an inspiration. Yet another great and innovative design. I have to get right on to it. Oh….I am loving these colors even more, Jerri!! Your work is always stunning!! Thank you so much for sharing!! Hugs!! this is simply breath taking.